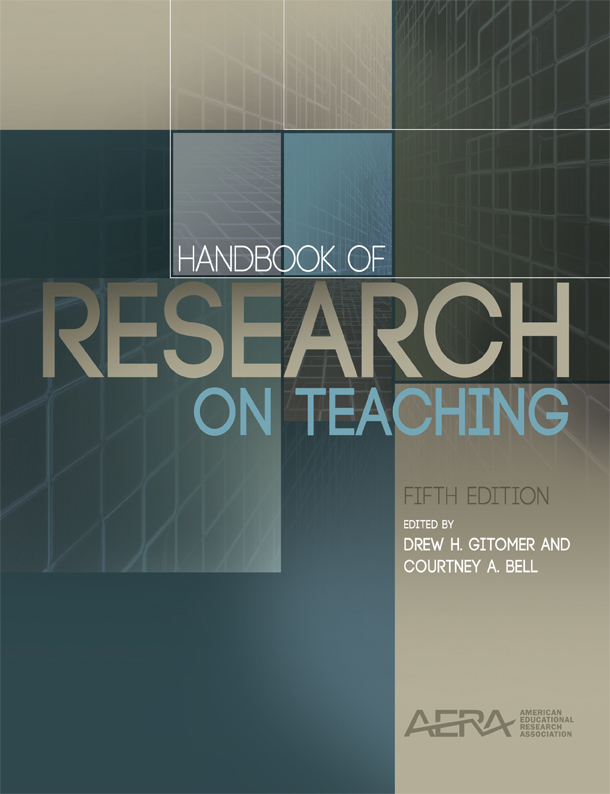 Abstract: The Fifth Edition of the Handbook of Research on Teachingis an essential resource for students and scholars dedicated to the study of teaching and learning. The volume covers a vast array of topics ranging from the history of teaching to technological and literacy issues. In each authoritative chapter, the authors summarize the state of the field while providing a conceptual overview of a critical aspect of research on teaching. Each of the volume’s 23 chapters is a canonical piece that will serve as a reference tool for the field. The chapters, all broad treatments of areas of study, will help readers see how particular areas of research connect with the larger issues of teaching and teacher education. The Handbook, therefore, provides readers with a “20,000-foot view” of the current state of education research.